Your family photos are precious. Each one captures a moment in time that you can look back on, and remember, every time you see the photo. Have you ever wanted an easy way to share the story that connects to some of your family photos? There’s an Instagram account that will help you do it! Family historians gather up photos of relatives and ancestors. Along with them, the family historian can become the person who passes along family stories. It’s nice to be able to share a glimpse into an ancestor’s life with living relatives. Many people find it fun to hear about what their parents, or grandparents, were like when they were young. Have you ever looked at a particular family photo and had a strong desire to share the story behind it with other people (outside of your family)? It’s not always easy to do. We all enjoy reminiscing about the stories that our family photos connect to. Not everyone is going to be willing to sit down and listen to a non-family member share pieces of their family history. Where do those stories go? There is an Instagram account that has been collecting them and helping people to share some of their family stories. It is called Save Family Photos. Pick a photo from the collection, click on it, and enjoy a small piece of family history that a stranger has decided to share with the world. You can view as many of the photos as you want to, even if you don’t happen to have an Instagram account. Some of the information about Save Family Photos says: “By saving and sharing your family photos, you preserve your legacy for future generations.” Would you like to share one of your family photos, and the story that goes with it, in this project? It’s easy if you have an Instagram account. If not, it doesn’t take long to get one (and it is free). Another option is to check out the Save Family Photos Facebook page At first glance, it appears that at least some of the content from the Instagram account is also on their Facebook page. Anyone can browse through the photos, read the stories, and view the comments. 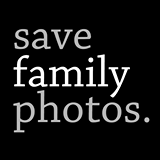 If you want to share your own family photo and story via the Save Family Photos Facebook page, you must have a Facebook account. If you already have one, all you need to do in order to participate is “like” their Facebook page and then post your photo and story. Image from the Save Family Photos Facebook page. * Props in Photos – Real Life?